Today's nails are special, some of the colors that I used to create them were created by Bebe Neuwirth with Essie polish company for charity! They're part of a limited edition set called 'Morticia's Nails'. The set contains 3 polishes, Blood Curdling Red (dark red), Bone Chilling White (white), and Midnight Tango (deep metallic navy). The cool part is that 100% of the sale goes to charity... The Actor's Fund to be exact. The Actor's Fund is an organization that provides health and social services to any and all people in the entertainment industry (actors, screenwriters, stagehands, makeup artists, etc.) that are in need. 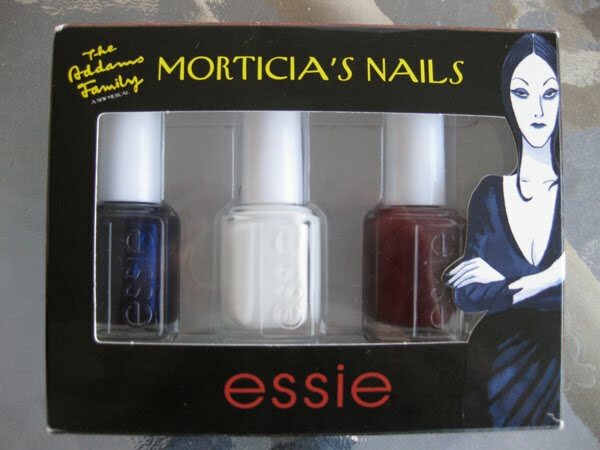 This is a cool polish set with a good cause, and a must for Addams Family fans!! Today's nails were based off of the art on the theatre program for The Addams Family musical, which stars Bebe Neuwirth as Morticia! 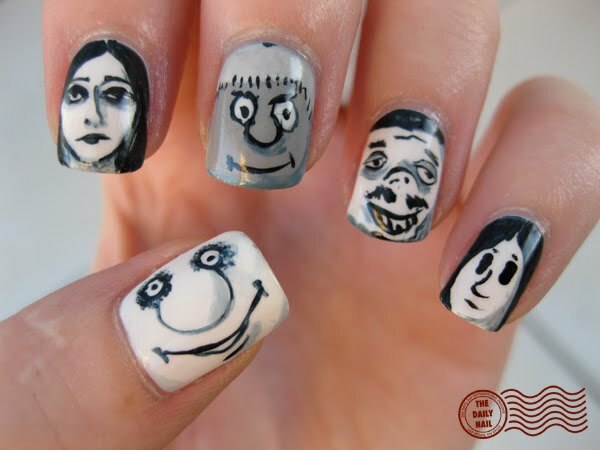 :) I did Uncle Fester on the thumb, Morticia on the index, Pugsley on the middle finger, Gomez on the ring, and Wednesday on the pinky. I plan to review these polishes on the Daily Nail: Reviews site in the next couple of days. I used Essie Bone Chilling White as a base for all nails except Pugsley, which I used Orly Mirror, Mirror. For the dark blackish color, I used a mix of Essie Midnight Tango, American Apparel Hassid, and American Apparel Factory Grey. Shaded the white with that mixture mixed with some Essie Bone Chilling White. Topped everything off with 2 coats of Seche Vite top coat. Disclosure: Morticia's Nails was sent to me for consideration by the charity. Im not sure why they chose the colors that did in the set. Red, white, and blue aren't the first colors I think of when I hear "Addams Family", but it is still pretty cool and great that it is for a good cause! Amazing!!! Love love! Again you did a great job! 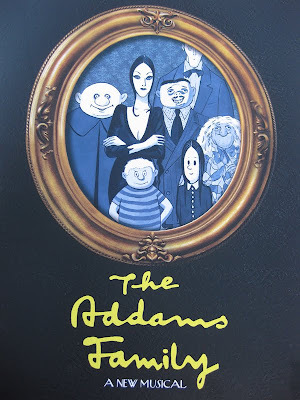 As a fan of the original Charles Addams cartoons as well as the TV show and movies, I really appreciate today's art! You really captured Fester and Wednesday perfectly! Love this! kudos to you for doing this! i've worked on events with the actors fund for the past three years and it's amazing to see how much they really help people. And the polishes look good! EXCELLENT! And for a wonderful cause. People forget that for every face they know from TV and the movies, there are literally thousands of people behind each one making all that entertainment possible. 99.9% of those thousands don't make the big bucks, sometimes aspiring actors who just never catch the big break, but often just people like us trying to pay for the necessities of life at a job they can enjoy (or at least not hate). Sometimes they need help, the bit actors, the gofers, the fourth grips and the script girls. More than worthy of help and 3 nice polishes as a bonus. Cool! My jaw literally dropped in awe. This is amazing!! I mean WOW. Your blog has made me obsessed with nail polish. I can't help to buy new ones as soon as I get the chance. 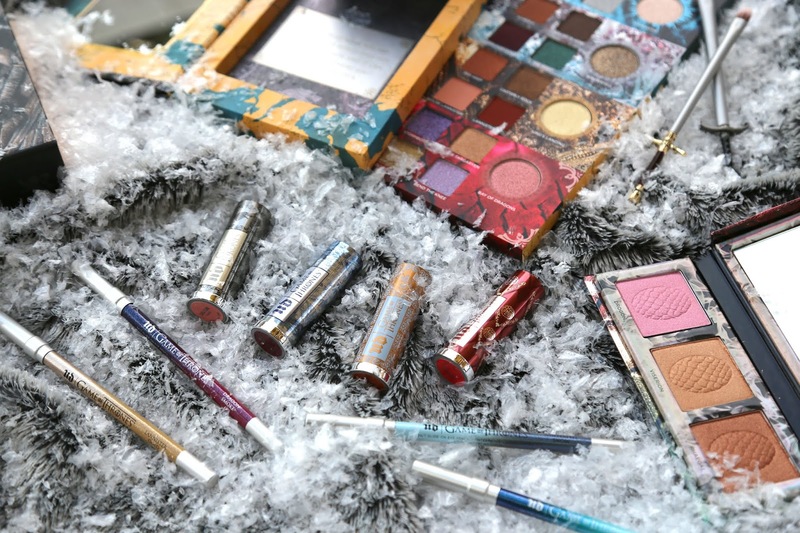 Anyway, I don't know if you have them over in the US, but there's a makeup brand called Isadora that recently came out with a collection of crackle nail polishes. There's black, white, pink, blue, green and yellow. I've bought three of them. Anyway, I just thought I'd let you know about them 'cause they're actually good and one of the cheaper brand. If you can get you hands (and nails) on them you should give them a try. Thanks for and amazingly inspiring blog. i've seen many of your manicures but this one is absolutely my favorite! just brilliant! Oh, this is AWESOME!! 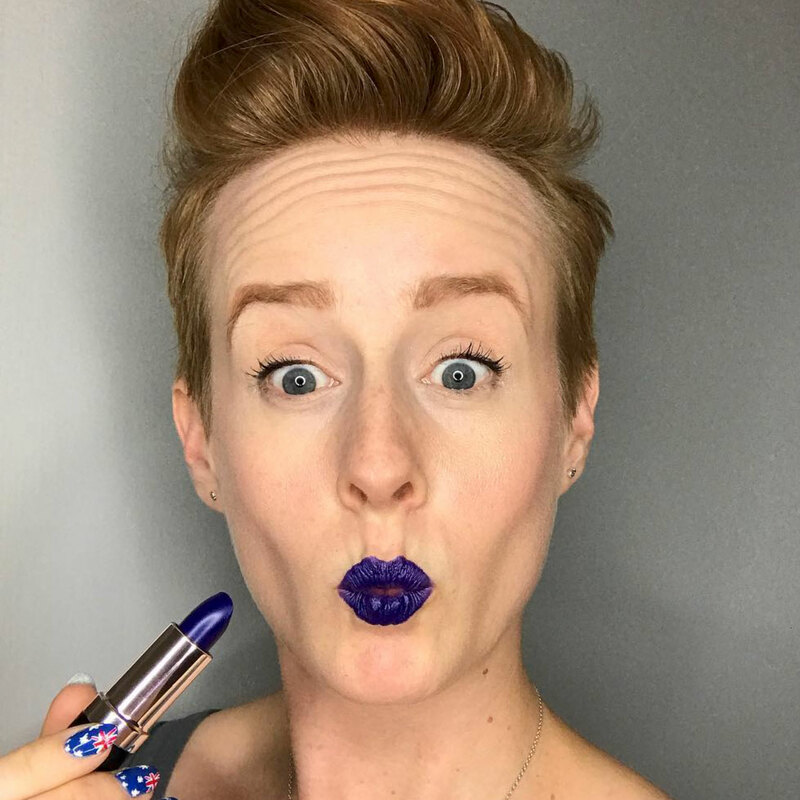 I want, no, need to find this set! Megan, she posted the link above. Gomez looks like the school principal in the cartoon Jacob Two Two. I'm totally impressed. I could try for 100 years and still not be able to do nails designs this good! Great cause, great nails, and great scott, I love Charles Addams! The most stunning nail paint I've ever seen in my whole life!